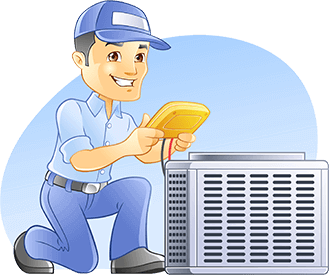 The traditional method of finding a good and reliable heater service company was to ask family members, friends, neighbors and your work colleagues. However, today with the internet, there are additional resources that you can employ to identify the best company for your heating solutions. The following handy tips will greatly assist you in determining the best heating service provider. Ensure that the company you engage is fully insured and bonded. When the company technicians have insurance, you remain protected in case of accidents happening on your property. Similarly, when they are bonded, you remain protected even if the service provider does not perform as per the work agreement/contract. It might be a good idea to request the service company to provide you with several references of their previous clients. Contact some of them to get a feel of the kind of service the company provides. Usually, service agreements cater for maintenance, replacement and emergency service. This is particularly important for your boilers. Generally, it will include a yearly tune-up, cleaning, as well as unit efficiency checks. If you intend to replace your old heating unit, you may qualify for a broad variety of tax credits and rebates. The service company installing or servicing your unit should be in a position of supplying information on available incentives. Most heater service companies, depending on the current season usually offer several special offers to those who take up specific services. If, for example, your heating unit is quite old, you could benefit from a seasonal offer that comes with considerable saving when you replace it with a new one. Everybody deserves a comfortable, warm and safe home. Should your heating system stop working properly or break down, it is very important to get a service provider you can trust to do the required work reliably, affordably and efficiently.